When it comes to heating, cooling, and indoor air quality, Bailey's Heating & Air Conditioning is dedicated to providing the highest in customer satisfaction for all of our services. We offer a wide variety of services from repair of existing systems, replacement, and installation of complete systems. Partial remodels to new home construction. Our service Techs are NATE certified and can service and repair all makes and models of equipment. Our trucks are push to talk dispatched to better service our customers. Our materials are bought in bulk from reputable manufacturers, allowing us to keep our prices down and quality high. And because we manage the whole process from top to bottom, we ensure a quality result. Call us for a free consultation and estimate at 209-527-4066. Are you looking to reduce your energy bills? Consider upgrading your HVAC system. Air conditioning and heating systems today are more than twice as efficient as systems just 8 years ago. Bailey's Heating & Air, Inc. offers many services to help reduce your utility bills. We can conduct an energy audit on your home or business to find potential "energy wasters". Call us today to find out more information on energy efficient air conditioning, heating and indoor air quality products. When the heat of summer hits, be prepared with a high efficiency air conditioning system. It will be great to relax in your cool and comfortable home with the peace-of-mind that you are saving money on your utility bills. Bailey's Heating & Air, Inc. also provides annual air conditioning maintenance programs to keep you’re cooling system running well. Our qualified team of technicians can service and repair any heating system or furnace, no matter what make or model it is. When looking for a new heating system for your home or business, we offer a wide array of high efficiency heating systems, including furnaces, heat pumps, geothermal and more. Dust, pollen, bacteria, mold, and allergens are concerns for every homeowner. Many times the air inside your home has poorer air quality than the air outside your home. Your health is always important and we consider indoor air quality a major factor in the HVAC systems we install. 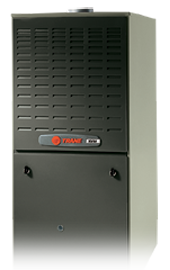 Bailey's Heating & Air, Inc. offers the very best in air cleaners and air purifiers. We offer whole-house air cleaning systems that can remove 99.9% of airborne allergens in your home. If any of your family members suffer from asthma, consider installing an air cleaner in your home. Ask about our other indoor air quality solutions that can make your home comfortable with cleaner air. When it comes to commercial heating and cooling, a business owners needs are different than a homeowner's needs. We offer a wide range of commercial HVAC products for installation as well as commercial maintenance and repair services. Whether it is a rooftop unit or a packaged air conditioning system, Bailey's Heating & Air, Inc. is equipped to handle the job. A commercial HVAC system installation requires careful analysis to meet your buildings needs as well as your budget. Our staff is trained for your commercial heating and air conditioning installation and maintenance needs. Our technicians can repair major brands of commercial HVAC equipment. Our service technicians will inspect and quickly repair whatever issues your current system is having. Call us today to learn more about our commercial HVAC repair services. Preventative maintenance is simply one measure you can take to make sure your HVAC system is continually running properly. Does your cooling system have the proper refrigerant charge? Is your system communicating properly to the thermostat controls? 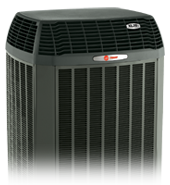 Is your condenser fan operating properly? Is the heat exchange working? Are the wires all connected properly? These questions can't be answered without a professional technician inspecting your system to ensure problems are not arising. A little prevention can go a long way to saving you money later.